In this module you’ll learn how to get your website in front of millions of people on-demand through influencer marketing strategies. In this module we’ll discuss the (almost) abandoned goldmine of massive amounts of traffic ready to be channeled to your website in 24 hours or less! In this module you’ll learn how to strategically & effectively siphon mass amounts of highly targeted traffic from the biggest social networks in the world. In this module you’ll learn how to get in front of massive amounts of hungry prospects desperately searching for what you have! In this module you’ll learn specific marketing strategies for retargeting and how to be everywhere, reach millions of people, and dominate your market for pennies on the dollar! In this module you’ll learn advanced marketing strategies and how to get an army of super affiliates to send you up to 50K – 100K visitors per day! 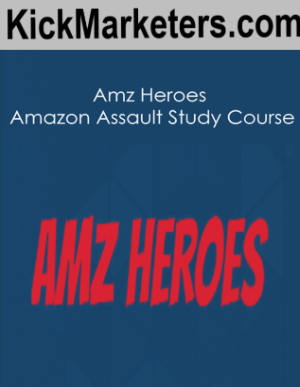 In this module you’ll learn advanced strategies that can completely change your business. You’ll learn how to consistently get thousands of buyers to your website without personally running a single campaign! In this module you’ll learn how to get massive amounts of new, fresh, targeted traffic daily without spending a single dime on marketing and how to create a hugely successful business in the process of doing it. In this module you’ll learn how to strategically uncover new, fresh traffic sources and never depend on anybody for traffic ever again! 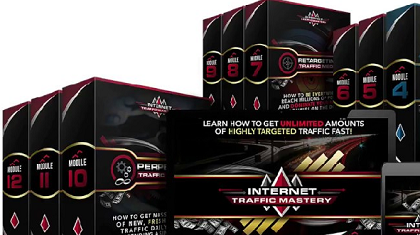 In this module you’ll learn about the single most powerful traffic source ever. How to open floodgates of never-ending, highest converting traffic available anywhere!